Confirming degrees can be as easy as 1-2-3. Or, it could require quite a lot of additional information, follow-up, follow-through, and steps. There are times when specific information is required, so the more the merrier. We recommend providing as much information as is available. There have been many instances that have required a person’s exact name at the time of graduation, date of birth, Social Security number, student identification number, year of graduation, and exact location of the school. 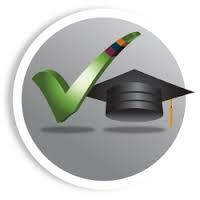 Of course, there are verifications that require a school-specific waiver to be completed by your candidate. All information we have at our disposal means you have the best chance possible of not only having the results you require but having them back quickly. If your candidate went to school abroad, Justifacts will provide you with the forms and details for verifying the education. We have an international network we utilize for international education verification with which we have had great success. We recommend, once you receive the criteria, that you submit everything to us at once, following the requirements carefully. This helps to avoid unnecessary delays or complications. For example, a degree copy may be required of the candidate and the candidate may, instead, substitute transcripts. While this may not hinder a verification, it may create a further delay in receiving the results. Our international vendors are responsive and flexible, but they have provided us with the guidelines based on the experience of verifying information in that specific country in question. Justifacts follows up with schools consistently while the verification is in the process. But, we never discourage a candidate from contacting the school to help facilitate the process. School’s rely on alumni for many things. A quick call by a former student to the school’s alumni association goes a long way. Also, a charming call to the guidance secretary, by a former student she may remember, might just push that request to the top of the pile. Sometimes school closures happen. We probably all know of a school in our local area that has closed down for one reason or another. The more information we have about the situation, the faster and easier the verification will be for our verification specialists. A school could have merged with another, so a call to the new school would be required. A school might have closed down and sent all student records to the district office or to the Department of Education in that state. The more research involved by our team, the higher the chance of delays there becomes. Having that information upfront or even supplemented during the process by the applicant could make a world of difference. Throughout the years, Justifacts has seen many times when a candidate will put a testing site as the grantor for the GED. However, 99% of the time the GED is actually conferred through the Department of Education in the state in which they had tested. Also, there are times when a candidate will indicate that they had earned a high school diploma and will write down the last high school they had attended when they had actually earned a GED through the Department of Education. The process is initiated based on the information provided, so a second education verification is typically required. In our industry, we are seeing an increasing number of fees associated with verifications. Not only are the number of schools participating in the outsourcing of records increasing, but we are also seeing an increase in the fees. It is very helpful for our process if we know of a limit to the dollar amount the client would not like to go over automatically. For instance, many clients will approve all fees that are $15.00 and under without further permission for a verification. This helps us to avoid a day or two of emails requesting permission. We do support clients in any way we can. So, if it helps with a client’s bookkeeping to know what to expect at invoice time, we truly do understand and are flexible with that specification. Facilitating the process is always a helpful prospect. However, we are a verification company at the end of the day. We sometimes go through many hurdles to provide to you what you need. We are in the business of helping our clients hire the right people. Justifacts will do what it takes to make that happen for you.